Designed to look and feel like traditional oil colours, these remarkable paints are water soluble so there is no need to use hazardous solvents such as turpentine, linseed oil and drying mediums. They can be thinned with water but are not an acrylic so the user does not have the problem of rapid drying. 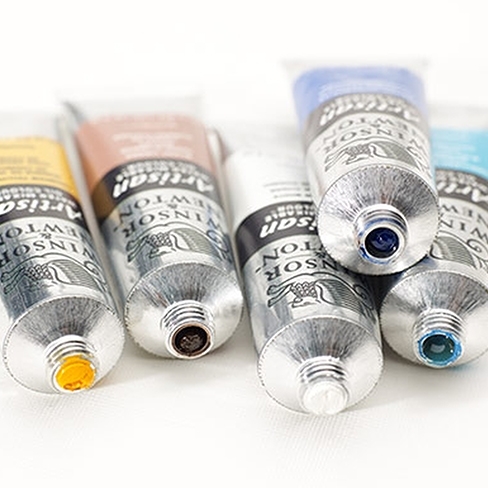 Designed to have a buttery consistency, these paints are the perfect alternative for the traditional oil colour artist with a good range colours, brands such as Winsor and Newton come in a range of 40 artists colours and some mediums if required. As there is little smell with these colours they are ideal to use where space and ventilation are limited, artists who work from home, students and night school members.